Our recent trip to Montreal was filled with food. It was the first, and only, trip I’ve ever been on where I ate out for breakfast, lunch, and dinner and still felt good about the food choices I was making. In fact, more often than not, I was having cleaner food than I do at home. Ha! It was awesome. One of the menu items that peaked my interest but that I didn’t have any room left in my tummy to try, was the Bombay Banana Smoothie at Aux Vivres. The name even sounds good, doesn’t it? The menu at Aux Vivres outlined the following ingredients: banana, soy-coconut milk (whatever that is? ), ginger, masala, and dates. It reminded me of the smoothies I had at Sivananda Ashram in India that contained red banana, water, ginger, and dates… but no masala. 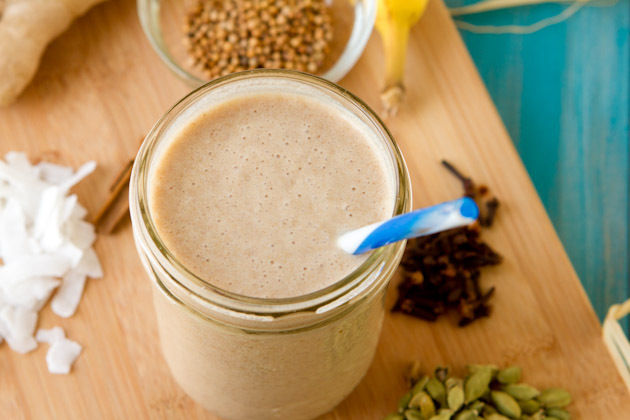 The fact that I’ve never thought to add masala to a smoothie fascinated me. 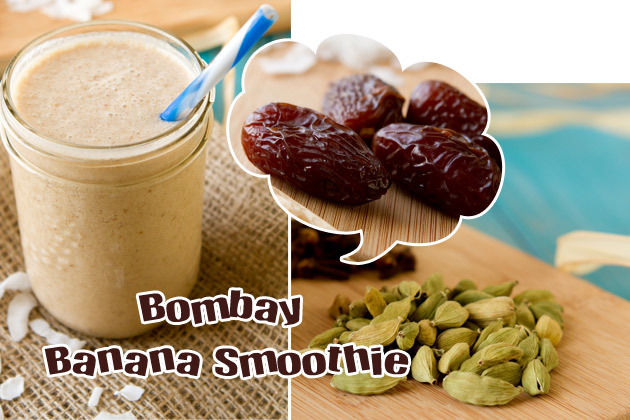 Bananas and masala are like mint and chocolate. Meant to be in every way, shape and form. By now, you can guess what I did when I got home, right? 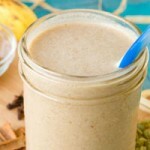 If you guessed drowning myself in bananas and chai spice, you’d be right on the money. Next up? Banana masala muffins, pancakes, or maybe even cookies! Ohhhh yaaaaa…. 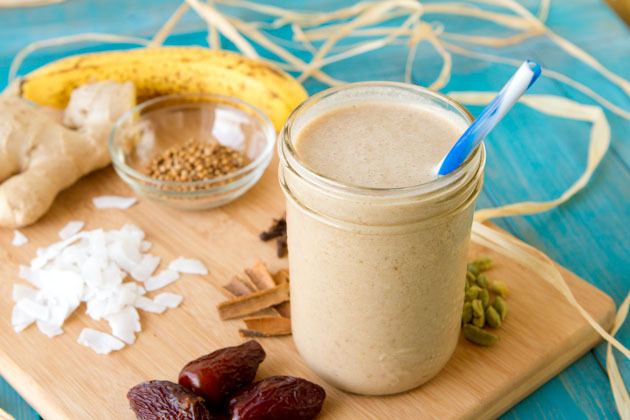 A creamy, nutrient-rich smoothie inspired by Aux Vivres Bombay Banana Smoothie. 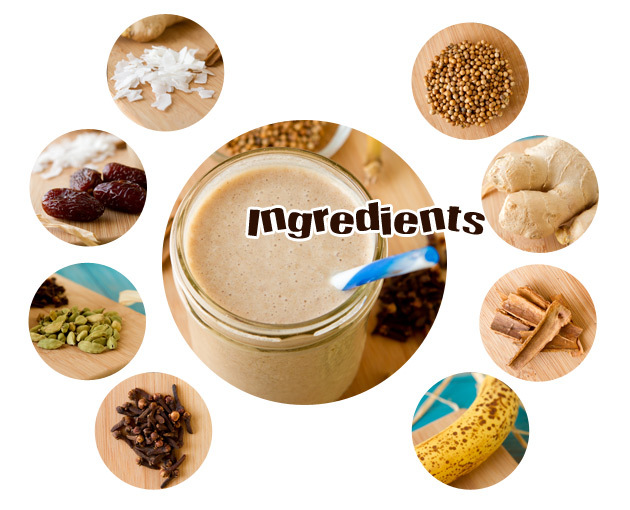 Place in your blender in the order of the ingredients listed. Blend for 30 seconds or until smooth. Oh man, this is good. 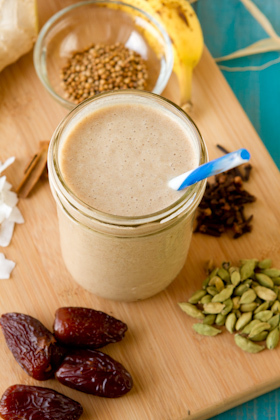 Probably my favorite smoothie yet, even above my Pumpkin Spice Smoothie. Ya, I said it. 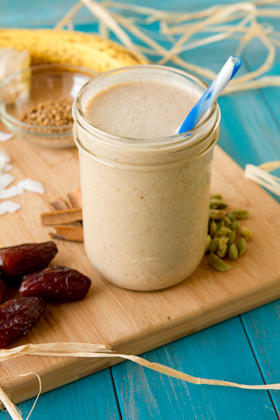 What’s your favorite smoothie in the whole, wide world?